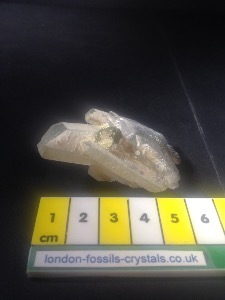 These beautiful Quartz crystals come from the Madan area of Bulgaria and have beautiful delicate points in small clusters. 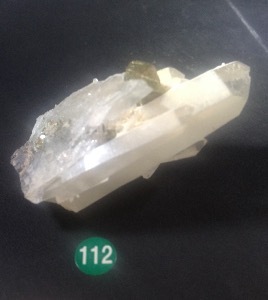 This mining area has produced some amazing Quartz, with Hematite or Pyrite Crystals within the quartz clusters and many of these clusters have a "druze” or coating of fine quartz crystals or calcite, much like a sugar coating. Sadly, according to our suppliers, all commercial mining in this area has now ceased and so gradually supplies of these crystals will run out. 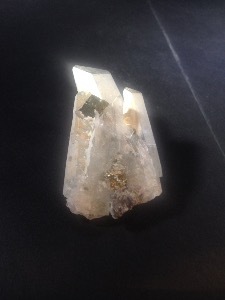 Clear Quartz can be associated with all of our seven main Chakras and is regarded as a "feel good” crystal. Many believe that it can improve our quality of life and make us happier than we are now! For healers, these clusters are small enough to use in body grids and layouts as well as being beautiful samples of Quartz. Pyrite is often used as a grounding crystal and can help in dealing with negativity. It is said that Pyrite is good for the brain, aiding memory and sparking off our thought processes. As well as being quite lovely to look at it is also very protective and may aid the accident prone to be less so.